Yes, you read that right. I tasted chocolate from all over the world for two hours straight. 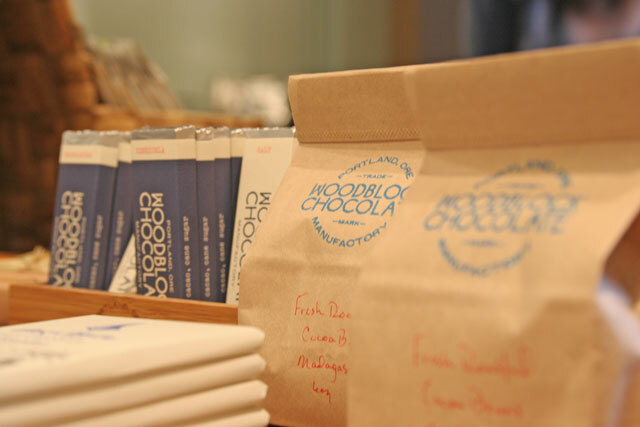 High end, high percentage cacao, glorious chocolate. It would be cool to take your family there for the holidays on a rainy day. I was there to end my quarter with my fellow students and instructor for the Chocolates and Confections class. It was a brilliant end to a wonderful class. Just pure awesomeness. Cacao is located in the Pearl District in Portland, Oregon. 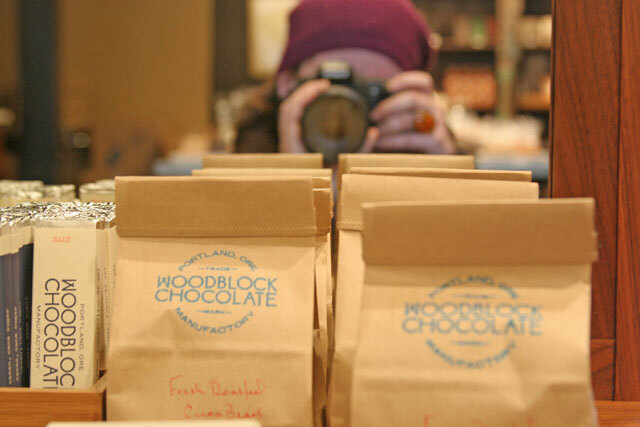 It is a large space filled with chocolates, and confections from all over the world, plus local chocolate makers right here in Portland. 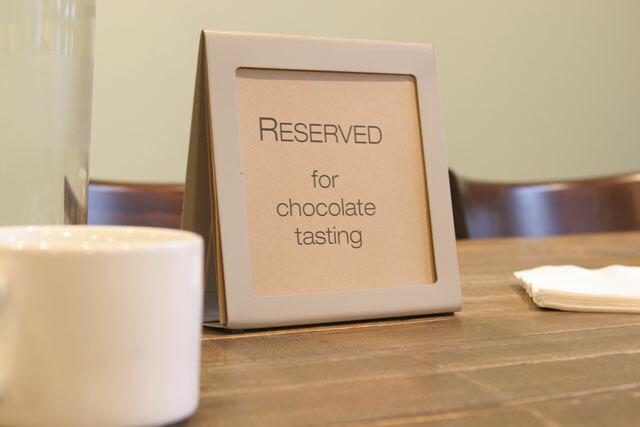 They offer a variety of drinking chocolates, and tastings. 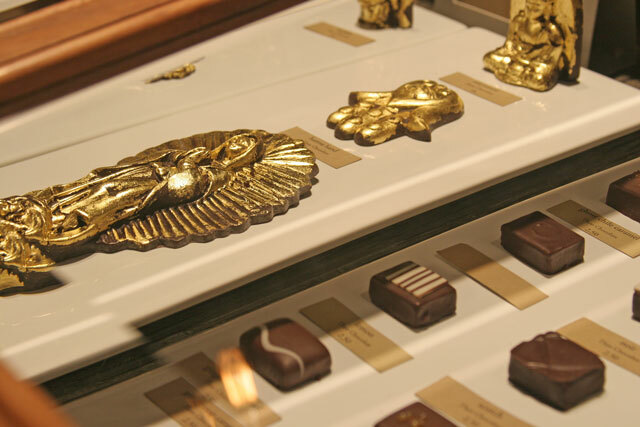 Their tastings offer several varieties of chocolates and finish with their famous and delicious drinking chocolate. They walk you through how to taste, what, where, and who about all of the products you can try. They share the rich history of chocolate and what changes we are seeing in the feild right now. Not only do you get to taste, you get the information that is just as important to me than the tasting. It was a wonderful experience and I would recommend it to anyone that loves food. Many times we buy chocolate without knowing where it came from or how much cocoa is actually in it. I too am guilty of this. I didn’t realize how little actual chocolate is really in some big named brand bars. Hershey’s for example does not tell you how much is in there chocolate bars or their chips. As for their milk bars, it contains twelve percent, and their special dark, wait for it… eighteen percent. Not so special to me, it only has five percent more than milk? 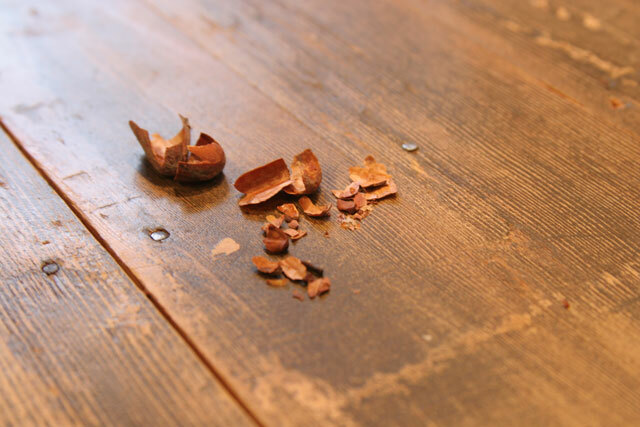 To give you a compassion, the lowest cacao percentage I tasted that day was a milk chocolate at thirty six percent. It was light, creamy, and tasted like actual chocolate. 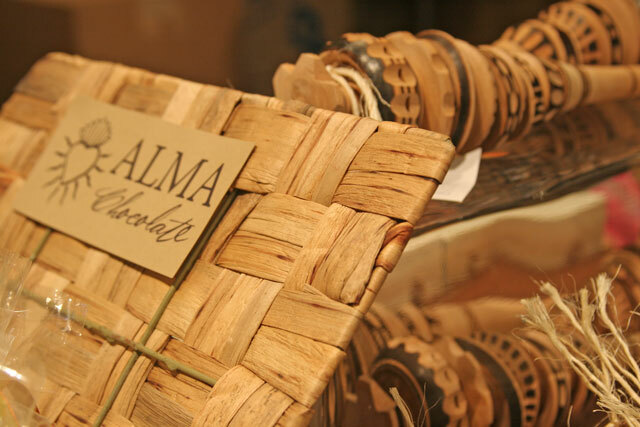 Obviously I have a thing for the Alma brand of chocolates right here from Portland. I love the packaging and the name. 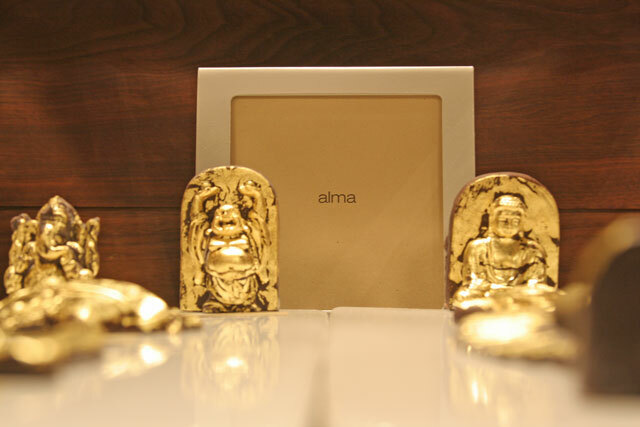 Alma means soul in Spanish, so that is good for me. The gold shapes are chocolates, just with gold on the outside, so cool! Oh you drinking chocolate, how I relished in all of your glory and beauty. 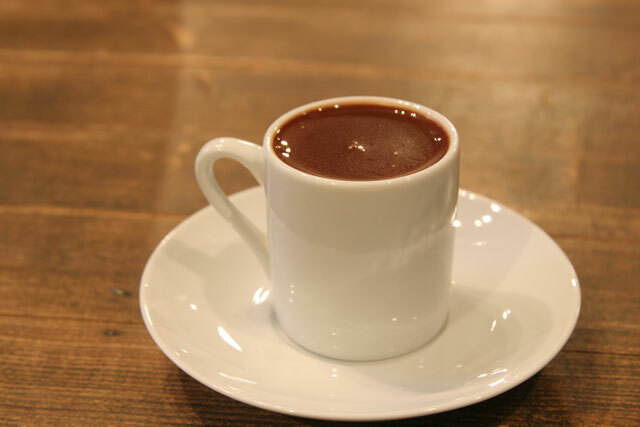 If me talking to the photo of drinking chocolate does not tell you how perfect and brilliant is it, then I really don’t know how else I could make you understand It really isn’t about loving chocolate though by now you know I do. It is about tasting something amazing. The subtle nuances of every sip. The different flavors that are pronounced the bitterness, or sweetness, or smokiness. It is so unique, how I learned to taste this drink. I closed my eyes and sipped it like a fine wine, because that is what this is. Or like tasting foie gras or a truffle for the first time. Even the best baquette or croissant you have ever had. It something to be appreciated for what it is, delicious. It was a wonderful way to end the tasting. Although I loved every moment, even the warm water they provide you between each chocolate. It was unique, and I learned so much. It fed my passion for all things food and knowledge. Both I crave on a daily basis. I thank our wonderful host for providing me with the knowledge to share with all of you. To be clear, this was a trip with my Culinary School class. I was not paid for this visit, and all of the opinions in this post are my own. Love!! I have so many regrets – one that includes not returning to this gem of a place the next day after I saw the simply stated logo on the door. It was too late the night when I walked by, they were already closed. I miss Portland so much! thanks for sharing your experience with us! JulieD recently posted..five things under $25 – what to buy with those gift cards! No regrets! Just come back and I’ll go with you.